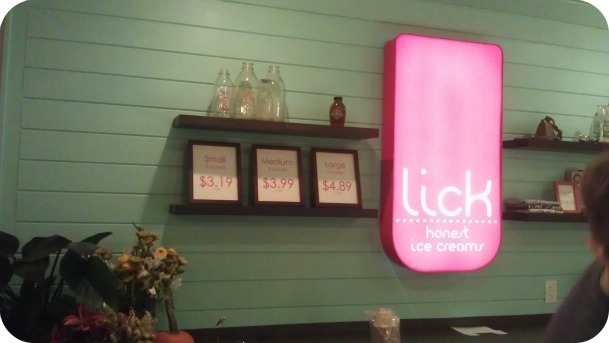 A new ice cream shop opened just this week called Lick Ice Cream. I got wind that they carried a beets flavor and bacon flavor. Remember how I told you bacon has a standing invitation to party in my mouth? Yeah, it took me less than a day of hearing about these flavors before I dragged a skeptical friend with me. Maybe I shouldn’t have lead with, “OH MY GOSH, THIS PLACE HAS BEETS AS A FLAVOR!” Though I closed my sale well with, “AND BACON! BACON!” if I do say so myself. Brittany and I met up for dessert last night, the first cold night of the season. 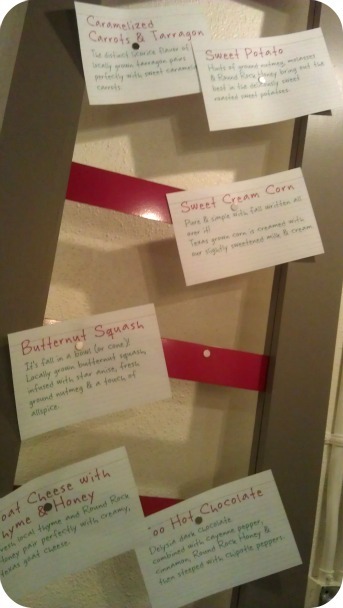 I was giggling in delirious happiness as I sampled four or five flavors. The Grapefruit Ginger flavor was a perfect combination. 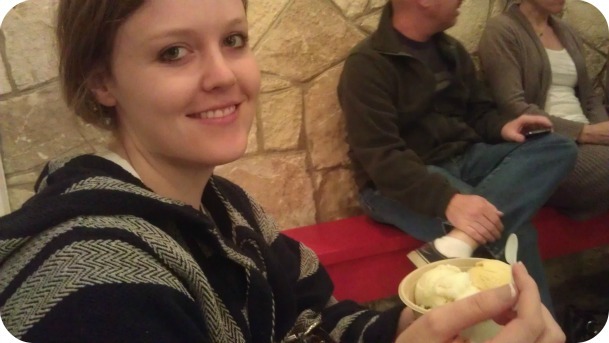 Brittany who doesn’t usually enjoy grapefruit was won over and committed to a scoop. The sweet tartness of the grapefruit was subdued with the spiciness of the ginger. I love ginger hints with a lot of fruit. The Cilantro Lime tasted just like cilantro and lime. I don’t know why I am so surprised when unconventional ice cream flavors really match their namesakes. But yes, exactly how you expect it. But in ice cream form. Works in your salsa; works in your ice cream! Who knew? The Roasted Beets with Mint was earthy and sweet. I love beets. Fun flavor but didn’t melt me. Granny’s Pumpkin Pie was good. I have a small obsession with pumpkin but it didn’t win out over the novelty of the other flavors and most importantly, over my mind-consuming obsession with bacon. Mmm. Of course I ordered a scoop of the Breakfast Bacon ice cream. Smoked applewood bacon, molasses, and brown sugar. I don’t even know what to say about this except that it’s almost unfair for me to comment on anything with bacon. My love for it is too deep for me to say anything bad. I already knew before tasting this flavor that this might be my winner. I was already a fan of these flavors hanging out with each other. The richness of the goat cheese with hints of thyme. 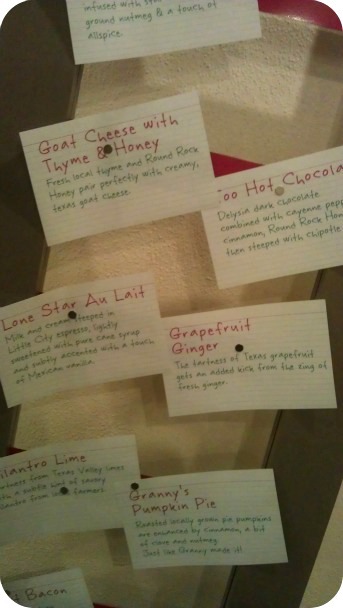 You might find me weird, but I pictured honey just languidly swirling with the goat cheese to make up this concoction. 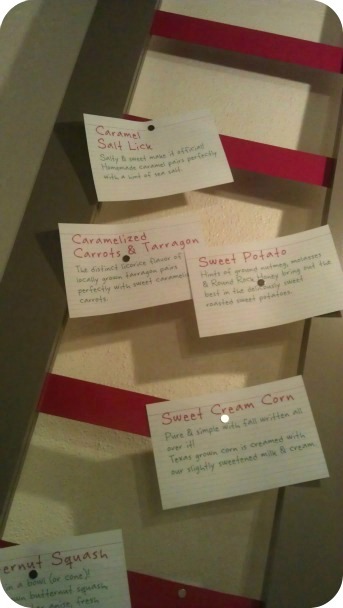 The website isn’t fully up yet so in the mean time, how about you read these index cards they have tacked up at the store and drool a little. Brittany said it reminded her of Harry Potter. Does it remind you of Harry Potter? I’m Harry Potter resistant and naive. Speaking of their website. Their website is http://ilikelick.com. I remembered it as http://iliketolick.com. Please don’t make that same mistake! It’s NSFW. I took home a pint (~$6) of boring milk chocolate for Alan. I was almost ashamed that my boyfriend picked such a boring flavor. However, it didn’t stop me from stealing a good fraction of his bowl. The milk chocolate was good too. 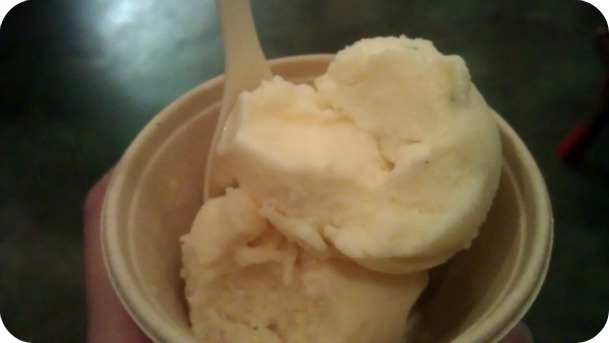 What’s really great about these ice creams is the high quality ingredients (all local!) and the texture. I usually have poor stamina when it comes to ice cream because it leaves such a brick in my stomach. (Sorry, TMI?) Not Lick’s ice cream. I could easily eat triple what I ate because it felt so light.